I've been lucky to have been able to be with Alden during the Habitat for Humanity visit he did a couple of weeks ago, but it seems his birthday celebrations doesn't end there. 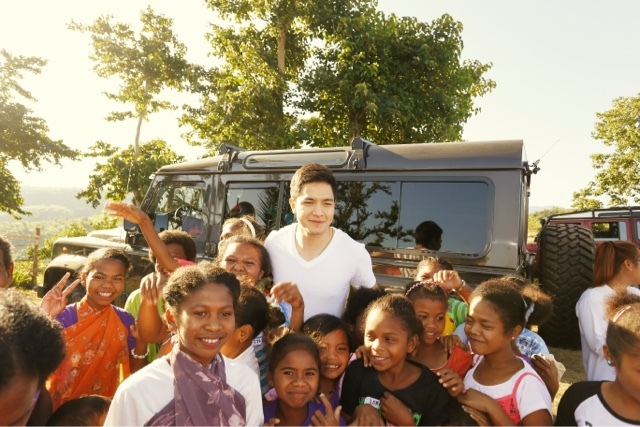 Together with his sponsors and GMA Artist Center, he went all the way to Sitio Gayaman in Bamban Tarlac for another charity event for the Aeta community. That's what I like about Alden, he just doesn't stop helping people. They were already screaming when he arrived and since they were doing a dance number to welcome him, instead of just watching, Alden joined in the fun and danced with them too. 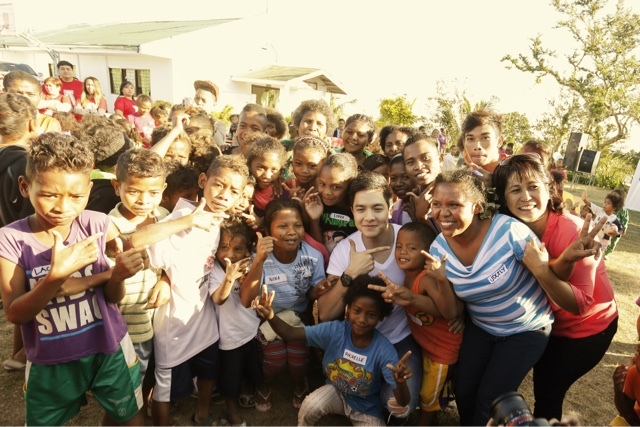 They loved Alden so much, so it was just right to have him give back the favor. Together with his sponsors Land Rover Club of the Philippines, Pampanga Off Roaders Club, Gopez Sisters, Doña Maria Premium Quality Rice, Boardwalk, Philplans, Tide, Downy, Gard Shampoo, Cadbury Dairy Chocolate, Sweet Kiss Custom Cakes, Datu Puti, Mc Donald's and Happee Toothpaste, they brought tons of school supplies, food and surprises for the Aeta community there. 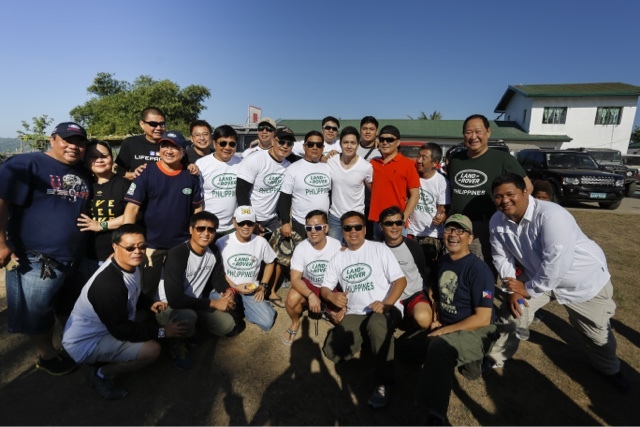 Alden was the one who thought about this event and remarks he wanted to give back to people no matter how far they are so he really made an effort to do this even if he had work for Eat Bulaga in the afternoon. I just hope you guys continue to support him because he's one of the good guys, that even with his busy schedule, he tries to make time for people even in the province. 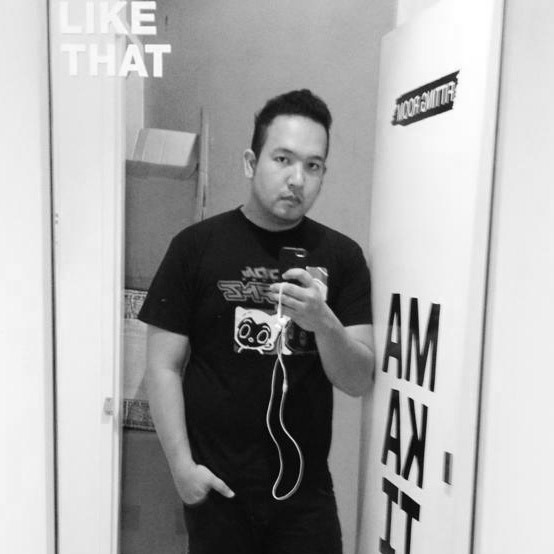 He's very down to earth, and is thankful to share some of his blessings to our aeta brothers and sisters. 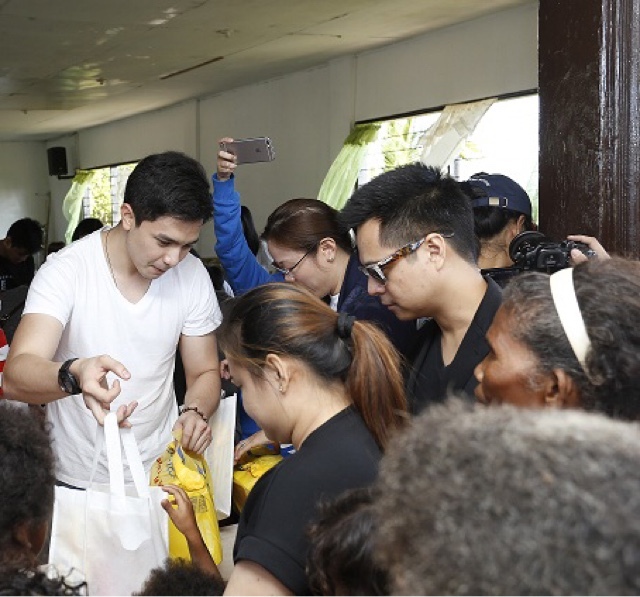 Thanks to GMA Artist Center for giving us these photos, even if we didn't get the chance to accompany him, we still see how much Alden wants to give back in his own way!